Switzerland will begin disclosing account data on nearly 4,000 UBS AG clients within a week after Swiss lawmakers Thursday approved the handover, marking an unprecedented exception to the country’s bank secrecy laws. Both houses of the Swiss Parliament approved a treaty earlier this week that would allow UBS to cooperate with a U.S. investigation into tax evasion, but the lower house said that its approval would be contingent on putting the deal to a popular vote in September. The referendum would’ve forced UBS to break an August 2009 deal with U.S. authorities to turn over bank data by this summer. On Thursday, the lower house agreed 81 to 63 to drop the referendum proposal and permit the financial institution to share data on its U.S. clients despite Switzerland’s stringent bank secrecy laws. Nearly a quarter of those present abstained from voting. “Nothing is in the way now, and all that remains is the government’s implementation of the treaty, which could occur as soon as tomorrow,” said Mark Stucki, a parliamentary spokesperson. The vote marks the apparent close to a 17‐month public dispute between the United States, Switzerland and UBS, which admitted in February 2009 to helping at least 52,000 U.S. citizens avoid paying taxes on over $18 billion in accounts with the bank, according to IRS estimates. UBS paid $780 million for the violations and agreed in August 2009 to disclose data on 4,450 of its accounts. While the treaty’s approval likely won’t make it easy for foreign investigators to circumvent Swiss bank secrecy laws going forward, the deal will nevertheless reverberate through a jurisdiction where privacy was once considered sacrosanct, according to Daniel Kubler, a political science professor at the University of Zurich. “This will start a larger national discussion on what types of monies and accounts Swiss banks should be accepting, as well as bank secrecy,” said Kubler, adding that it would’ve been politically impossible for the left—which has called for Swiss banks to reject “dirty” money—to justify rejection of the treaty or delay its implementation with a referendum. The deal has already put a dent in Swiss bank secrecy, according to Dennis Brager, a former senior tax attorney for the IRS. 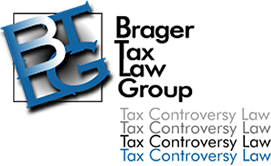 “Many Swiss banks have already adopted a policy of dropping clients that refuse to allow disclosure of their accounts with W‐9s to U.S. tax authorities, and it’s fairly widespread,” said Brager, now a tax attorney with Brager Tax Law Group, a Los Angeles‐based law firm serving a number of clients with UBS accounts. The changes have come amid a broader crackdown by governments against tax havens. In 2007, German authorities paid five million euros for data stolen from Liechtenstein bank LGT, which allegedly included evidence of tax evasion by up to 900 German citizens. HSBC’s Switzerland‐based private bank said in March that a former employee had stolen data on up to 24,000 of its client accounts over three years ago. Parliamentary approval of the UBS deal was required after a Swiss court ruled in January that only 250 of the 4,450 clients could be revealed based on distinctions between tax fraud, a criminal offense allowing disclosure, and tax evasion, a civil violation under Swiss law. In March, the Swiss circumvented the court's ruling by formalizing it as a treaty needing lawmaker approval. The IRS, which had threatened to invalidate the deferred prosecution agreement with UBS if the bank missed the August deadline for disclosure, welcomed Swiss final approval of the treaty. “With today’s action in the parliament, we expect the Swiss government to move quickly to deliver the information on U.S. account holders,” said IRS Commissioner Doug Shulman, in a statement. Already, information on 3,000 of the UBS accounts has been processed and is ready to be sent to the United States, while data on an additional 500 have been given to U.S. tax authorities, according to a statement issued Thursday by the Swiss Federal Tax Administration. The agency said that it is currently processing nearly all of the remaining cases. Before the files can be placed on a disk and mailed by courier to U.S. tax authorities, the Swiss Parliament’s decision must first be published in Switzerland’s federal gazette, according to an SFTA spokesman. The gazette is scheduled for publication next Wednesday.